Who said that gelato is only for summer? Our collaboration series, Italian Gelato, continues across the winter. 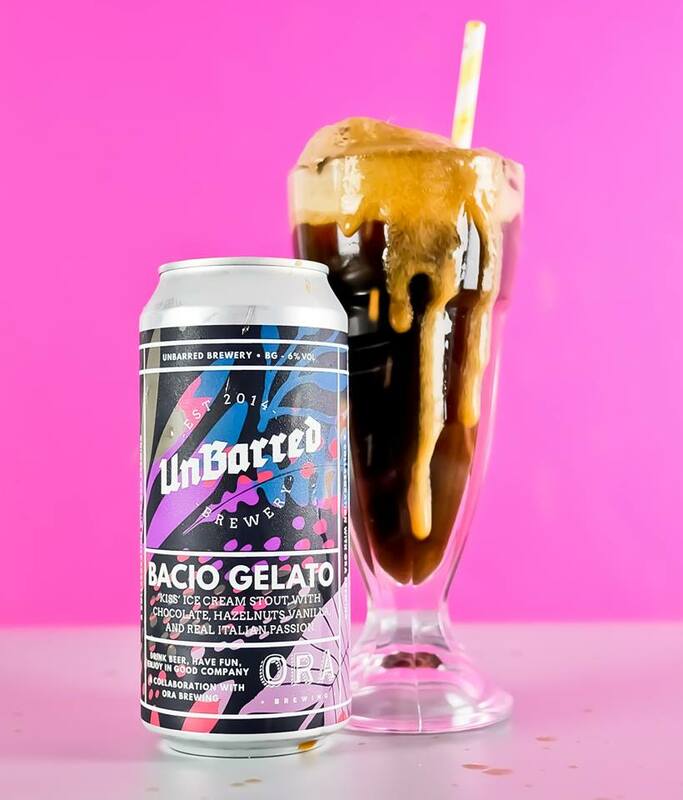 We are teaming up with some of the best independent and innovative breweries across the country, to promote the concept of traditional Italian Gelato. The idea is to reinterpret some of the classic gelato flavours using only natural ingredients in the process combined with the best local fruits and ingredients. 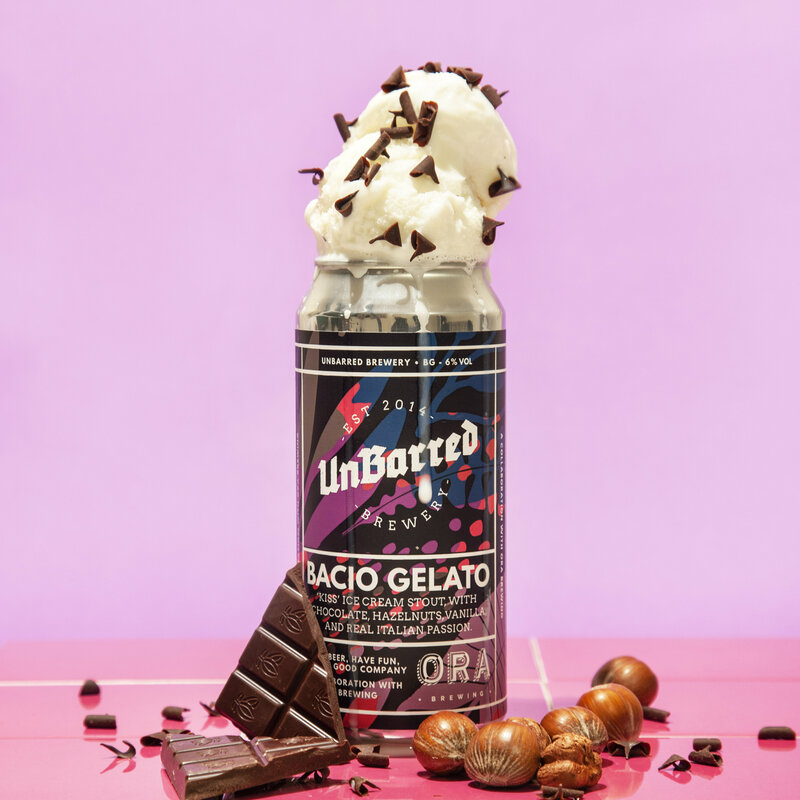 After the success of Fiordilatte (with Shilling brewery), Stracciatella (with Brew York), the third beer is a Bacio Gelato stout with organic cocoa from Peru and Italian hazelnut from Langhe, Piedmont (6%), brewed with our friends at Unbarred. These hazelnuts called "gentle round hazelnuts" grow in Langhe (Piedmont), have thin shells almost completely filled with fruit. Its flavour is a memorable experience, from the moment it crumbles in your mouth and releases its crunchy intensity and a delicate fragrance. 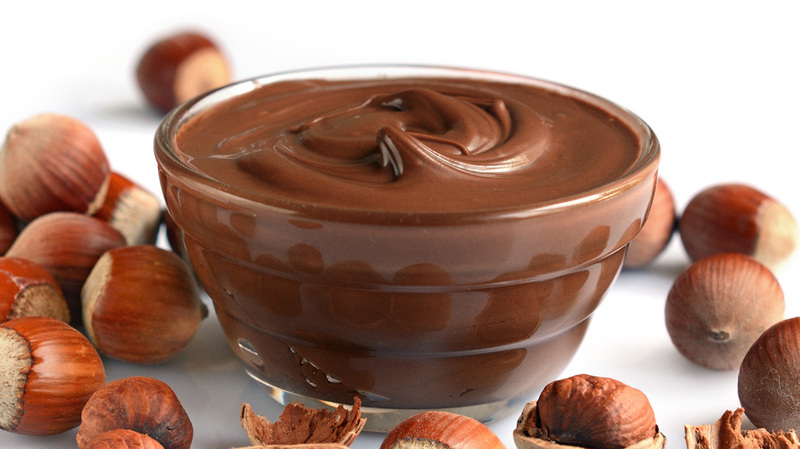 It is not by chance that this special hazelnut crop is widely used by high-end confectionery makers and maitre chocolatiers across the country (including Ferrero's Nutella). The idea of this beer came after talking with Jordan from Unbarred about making a "heavily dessert" beer, with lots of residual chocolate taste and subtle hazelnuts notes. After a few weeks of research and trials, we came out with a base full and creamy from flaked wheat, flaked oats and lovely dark malts, loaded with lactose and vanilla, layered with Magnum and Sorachi ace, and powered with west coast yeast. Is this beer or gelato? The beer will be launched officially on Friday December 7th at Craftyfellas, London. We will take this opportunity to launch an interesting experiment, pairing our beer with real gelato kindly supplied by Oddono's gelateria, one of the best independent gelaterias in London. Who said that beer and gelato can't be friends? Available in keykegs (last 4 available!) and cans. Fancy a gelato for Christmas?